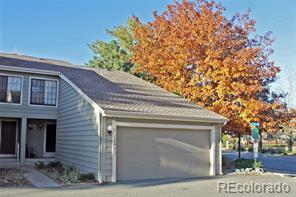 This wonderful townhome has a great floor plan with two master suites! Come home and relax in the comfortable living room. Vaulted ceilings, newer carpet and tile floors too. Enjoy cooking your favorite meals in the updated kitchen with stainless steel appliances and a breakfast nook. Retreat to the main floor master bedroom that opens to the private patio or invite your friends over for a game night in the loft with a wet bar. Escape to the second master bedroom with a large walk-in closet and 5-piece master bath while your guests stay in the 3rd bedroom. There is room to grow in the basement too. Close to the 9-mile light rail station. Don’t miss out on this great home! Tenant occupied until April 30, 2018.